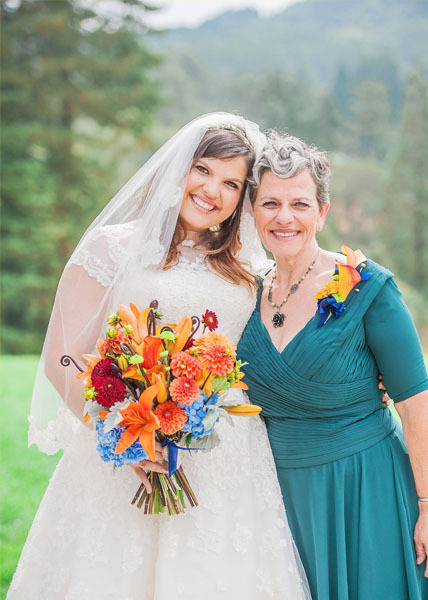 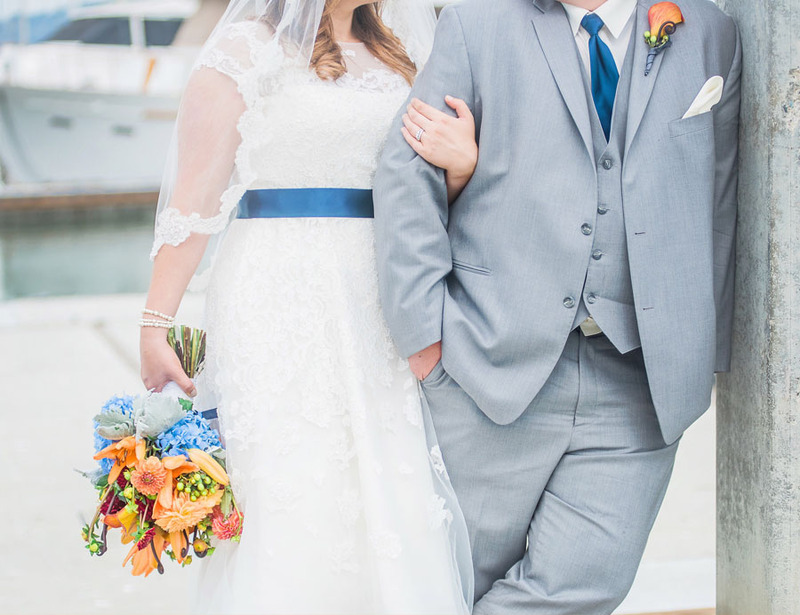 Lauren chose a stunning color palate of navy and orange for her wedding. 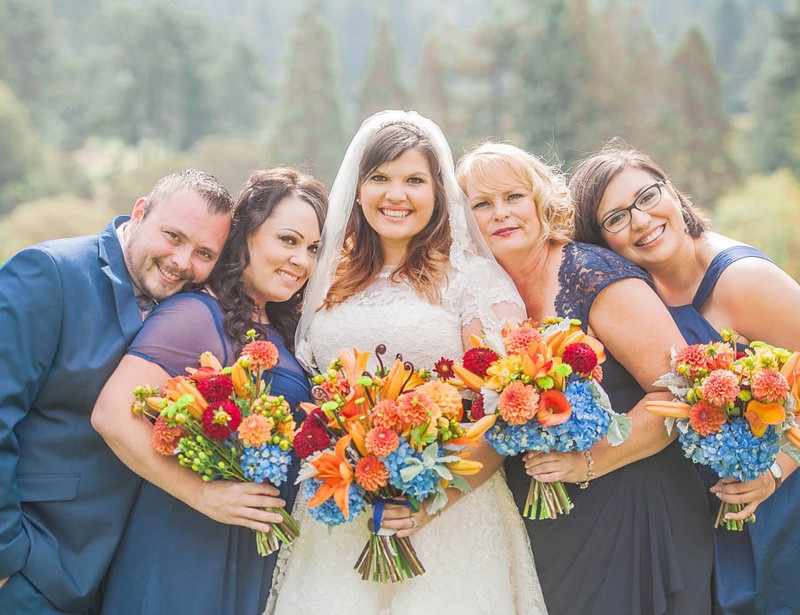 She knew finding orange jewelry for to contrast her navy bridesmaids jewelry was going to be a struggle, until we met at a bridal fair. 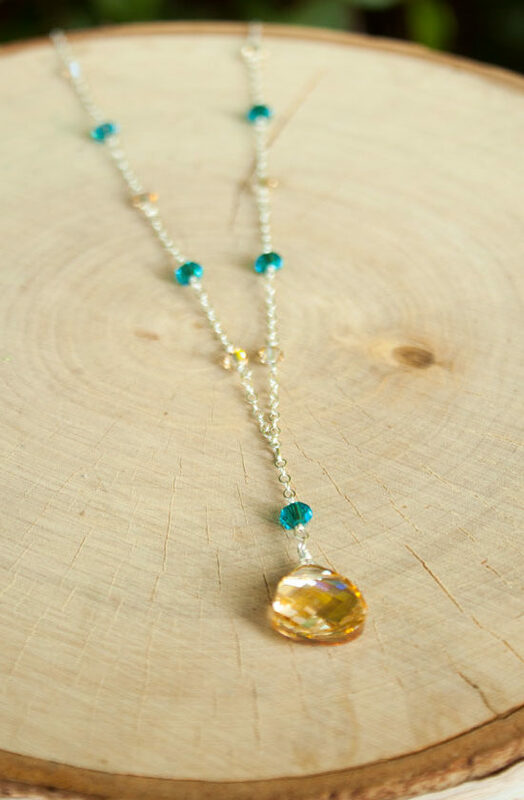 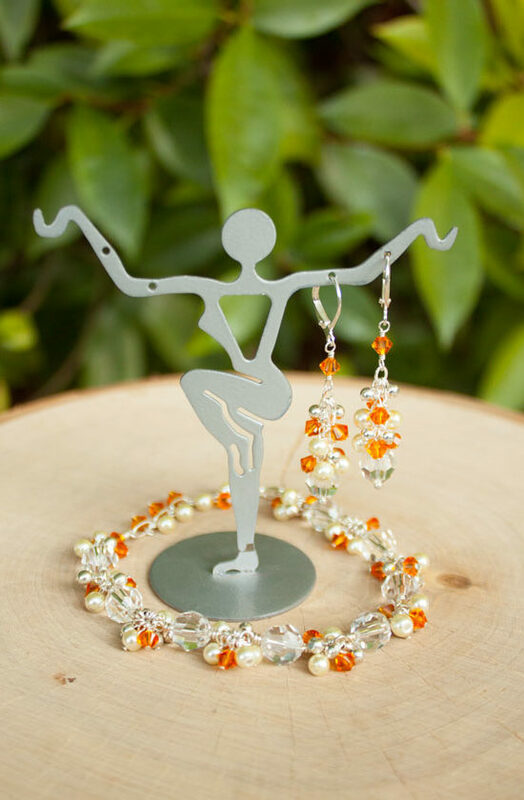 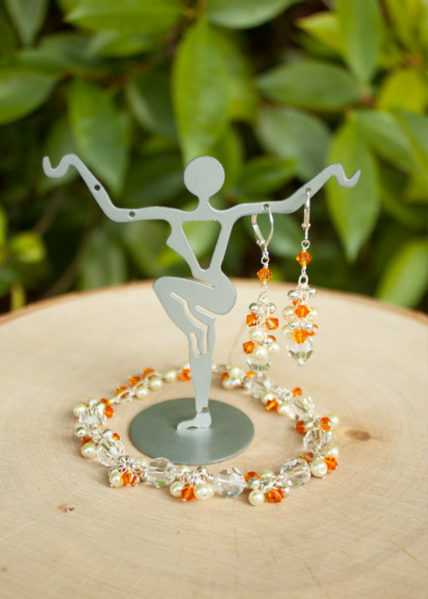 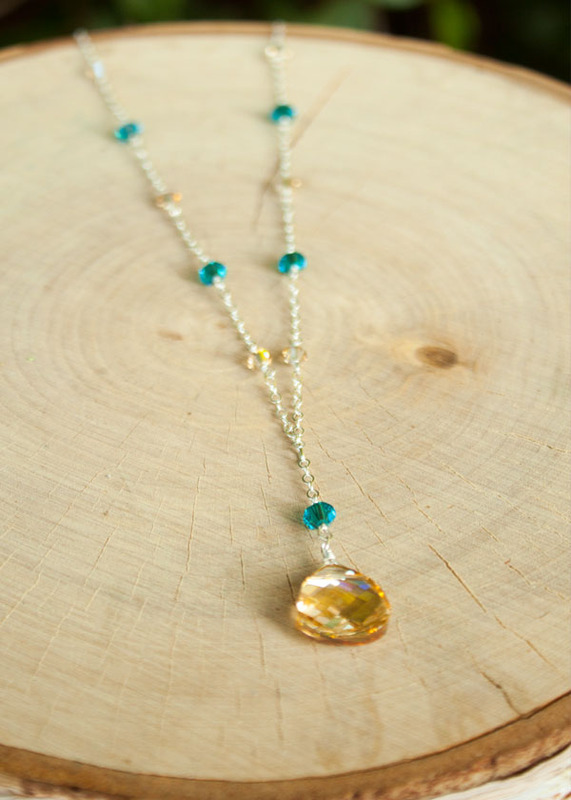 We designed crystal bracelets and earrings accented with orange for a gorgeous set of jewelry. 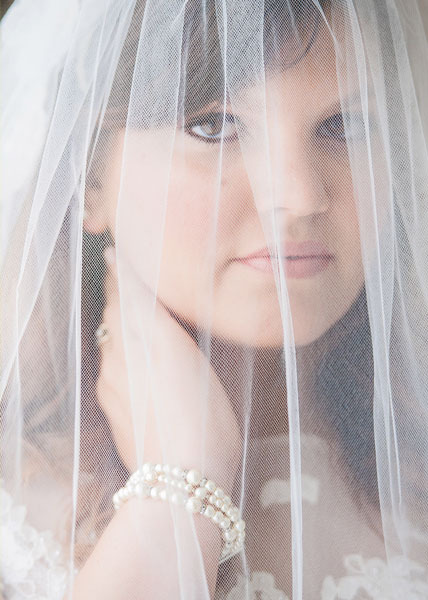 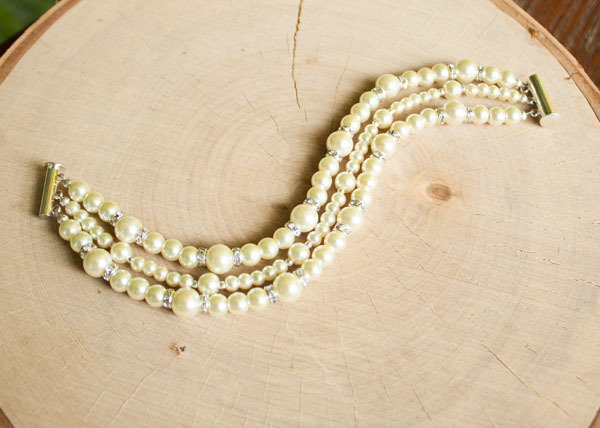 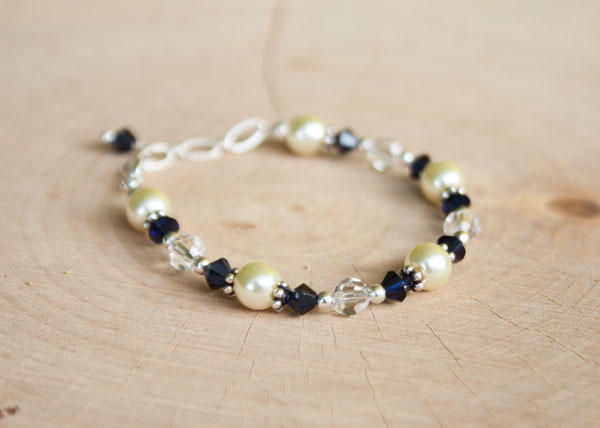 Lauren wanted a cuff style bracelet made of pearls to accent her lace bridal gown. 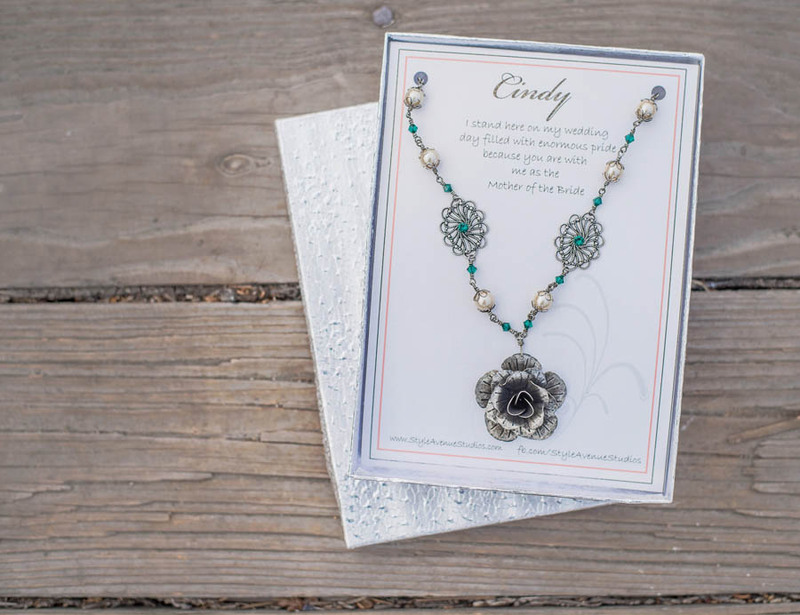 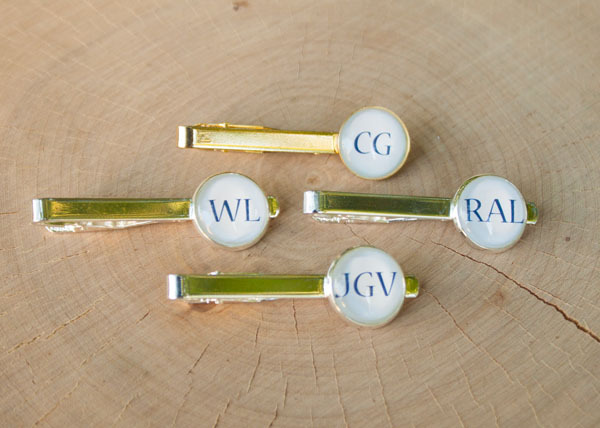 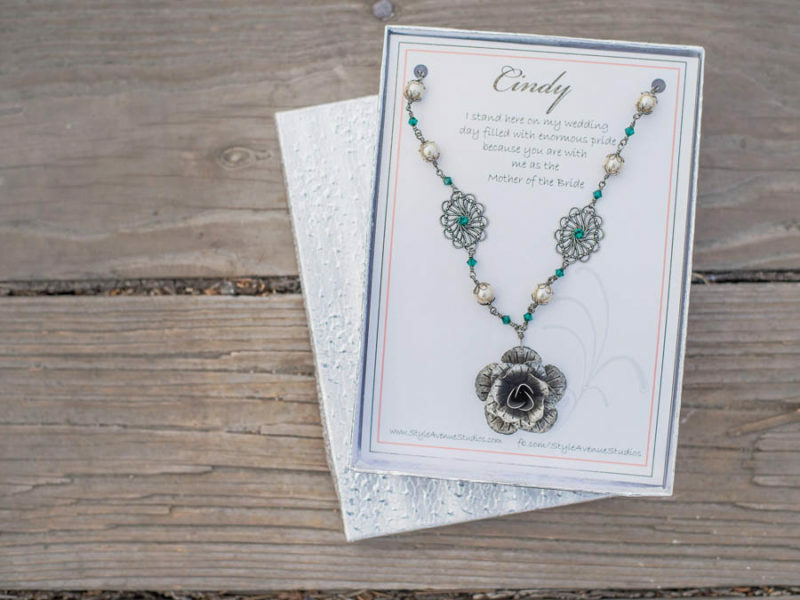 We also designed tieclips for her groomsmen, a flowergirl bracelet, and mother gifts for both moms.